The Wisconsin owner of several self-help and life development companies received a rather jarring wake-up call when he was convicted on tax crimes and sentenced to a year in federal prison. Eric T. Plantenberg had failed to file taxes for ten years from 2000 to 2010 after he began subscribing to the views of the Church of Compassionate Service. According to court documents the Church of Compassionate Service is a group that advances frivolous tax arguments, chiefly to individuals who are receptive to an anti-tax or anti-government message. Arguments related to and reminiscent of the group’s anti-tax position have been determined to be clearly frivolous by the courts since at least the early 1980s. What did the tax scam consist of? It is not uncommon for those promoting tax scams or frivolous tax arguments to associate their argument with a fundamental right and legitimate tax structures. Such an approach can give the frivolous tax argument an air of legitimacy by association and the strength of the fundamental right can cause a layperson to have questions about the extent of rights such as the freedom of speech or religion. In the case of the Church of Compassionate Service, their argument was that a taxpayer could take a religious oath of poverty and become “minister” in their organization. The minister’s income would then flow into the church, operating as a “corporation sole”, thereby relieving the “ministers” of any income, and thus, the obligation to pay or file taxes. The church would then return the money to the “ministers”. The church did not hold religious service or otherwise have any members beyond the “ministers”. Can I stop filing taxes and paying taxes on religious grounds? While an attorney or tax professional cannot offer tax advice regarding your specific circumstances without first scrutinizing your tax and financial records, the vast majority of people will not be able to successfully rely on a tax minimization argument like the one above. In fact, for nearly all taxpayers advancing an argument of this type would be considered frivolous. Advancing a frivolous tax argument can potentially be punished by a fine of $5,000, any other accuracy-based civil or criminal tax consequences, a penalty for an erroneous refund, and a civil fraud penalty. What violations and crimes are associated with the failure to file taxes? IRC 6651: It is a violation of the tax code to fail to file or pay taxes. Section (a)(1) discusses the failure to file which can be punished by a penalty of 5 percent, if the failure is for less than a month, or an additional 5 percent per a month thereafter – up to a 25 percent penalty in the aggregate. IRC 6031: this section of the tax code makes it mandatory to file a partnership return. Failures to file these returns is addressed by IRC 6031. IRC 6699: Addresses the failure to file for an S Corporation. 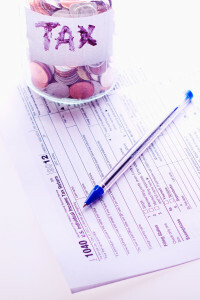 Failing to file taxes by itself, can lead to tax problems including fines and penalties. When those filing failures are further exacerbated by frivolous tax arguments and attempts to conceal the unfiled and unpaid taxes, facing criminal tax charges become increasingly likely. If you have failed to file taxes or are otherwise looking to correct past problems while minimizing the costs of coming back into compliance contact us online or call 800-380-TAX-LITIGATOR today.